We have all heard the common saying that beauty comes from within. This is especially true in regards to the health of your skin. Although topical treatments like moisturizers and serums may be helpful, proper nutrition ensures that the skin is being fed the nutrients it needs to build and maintain healthy cells. Although genetics do play a role in determining skin color, texture and tone, the foods that we eat have a significant impact on the appearance and health of our complexions. The skin is our largest organ and acts as a protective barrier from the outside environment. It is in a state of constant repair and regeneration and requires energy from the food that we eat to maintain proper function. By eating a diet rich in following foods, you can ensure that you are giving your skin the nutrients it needs to stay healthy and glowing from the inside out. Avocados are full of the beneficial fatty acids that the skin craves. The healthy fats that are found in avocados improve elasticity, keeping your complexion looking youthful. Avocados are a great source of vitamin E, which protects the skin from damaging free radicals that can lead to premature aging. 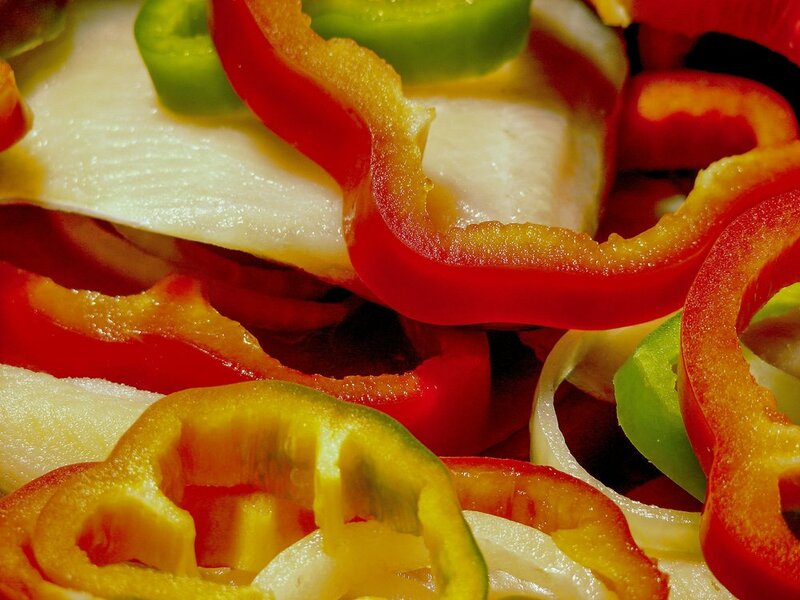 Bell peppers are high in vitamin C. Vitamin C helps to protect your skin against sun damage. This vitamin also plays an important role in collagen synthesis. Collagen, the protein that keeps our skin looking youthful and radiant, declines as we age. As collagen levels fall, the aging process accelerates, leading to wrinkled skin. Vitamin C is needed to create procollagen, a collagen precursor. Eating foods rich in vitamin C helps the skin to make the collagen it needs to stay looking plump and young. 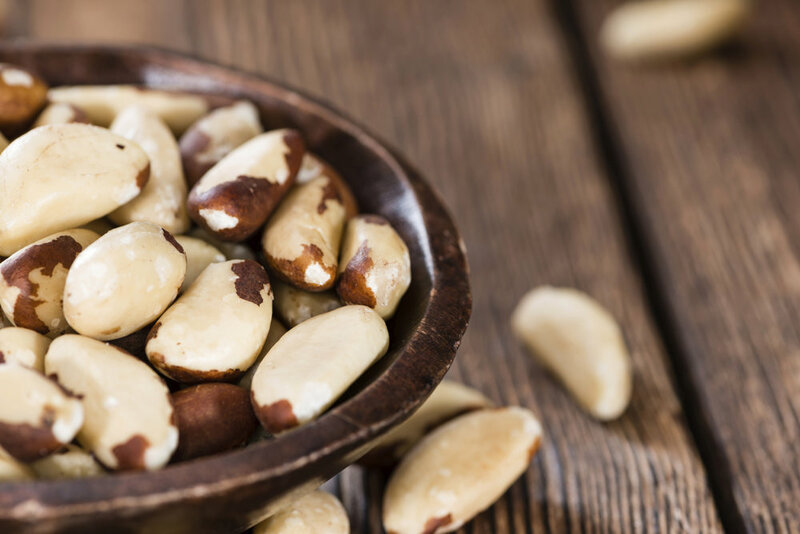 Brazil nuts are rich in selenium. Consuming just one of these nutritious nuts per day fulfills the recommended daily intake for this essential mineral. Selenium has powerful antioxidant properties and protects skin cells from oxidative damage. This micronutrient is also a component of glutathione peroxidase, which is the body’s most powerful antioxidant. Glutathione works to protect the skin from free radical damage that can cause inflammation and signs of aging. Salmon is one of the best sources of omega 3 fatty acids, which are critical for healthy skin. These essential fats are key components of cell membranes and help keep our complexions soft and hydrated. Salmon is also high in vitamin D, which combats inflammation and protects the skin against sun damage. 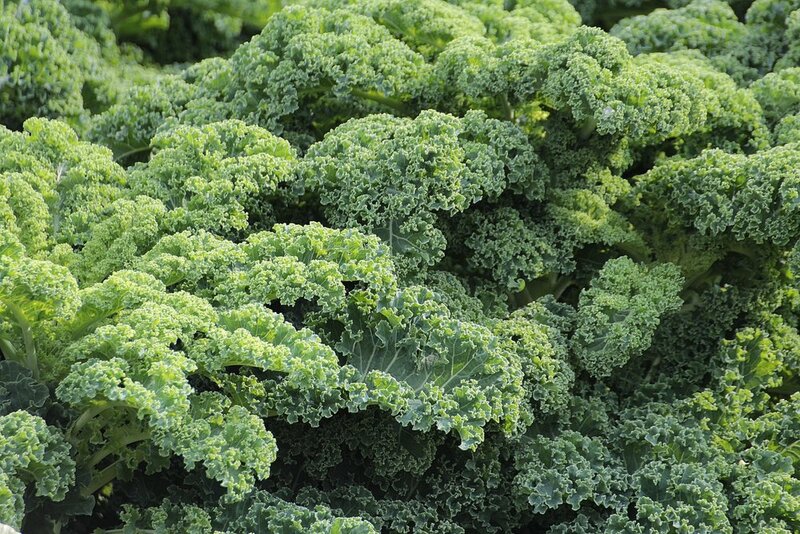 This leafy green is chock full of nutrition and is an excellent source of Vitamin K. This lesser known vitamin prevents the development of wrinkles by protecting elastin, a protein that maintains the structure and elasticity of the skin. Try sipping unsweetened green tea for a hydrating dose of antioxidants. Green tea contains compounds called catechins that bind to harmful free radicals and neutralize them before they can cause damage to your skin. 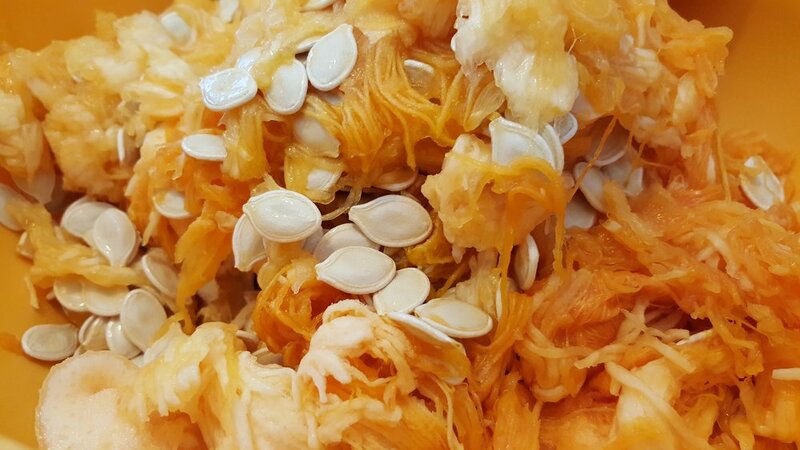 Pumpkin seeds deliver a powerful punch of skin nourishing nutrients including the mineral zinc. Zinc protects skin cell membranes and is critical for cellular turnover, which prevents clogged pores and blemishes.